This is a real thing. 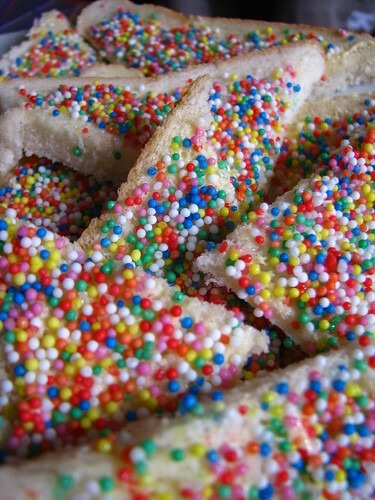 According to Wikipedia, Fairy bread is a treat commonly served at children’s parties in Australia and New Zealand. It’s just sliced white bread cut into triangles, spread with butter, and covered with sprinkles or nonpareils. I plan on making this soon & going to try not to eat it for every meal. 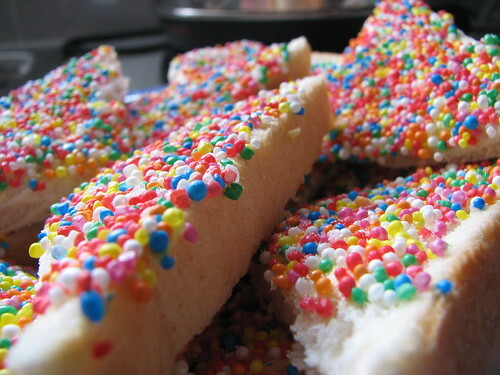 August 21st is National Fairy Bread Day! 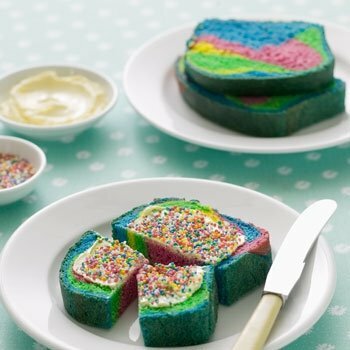 Fairy bread — what a whimsically awesome idea!